Since the start of the 2016/17 season, we have worked with BT Sports social media team on a weekly basis to provide design assets and support to their social team. Our work involves a number of creative solutions including the creation of graphic templates that can easily be used by social producers to announce news to their followers. These templates are prepped in accordance with BT Sports brand guidelines and are supplied as photoshop layered PSD files. It is vital that the files are simple enough to be used by those even with a minimum understanding of photoshop. In addition to this, we are tasked with creating bespoke content, based on a wide range of sporting topics. This can cover historical landmarks, upcoming events, special moments and key stats that all help to promote the content broadcast on BT Sport. The style of these graphics can vary greatly, but can be split into two groups - design and illustration. The graphics that we class as design will usually be made up of a combination of text and images, treated in a way to get a message across to the viewer quickly but in a visually pleasing manner. 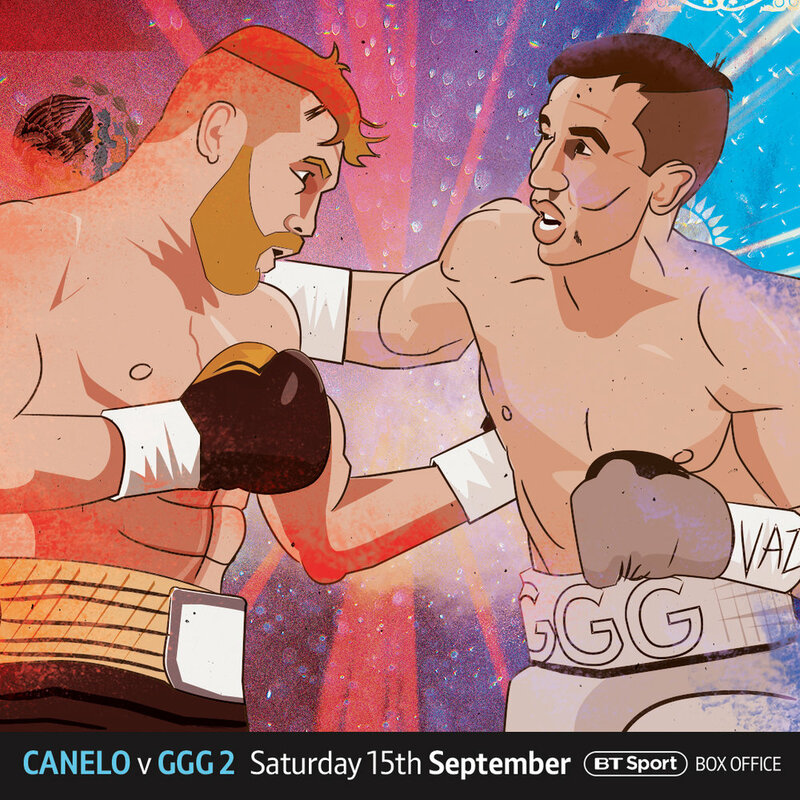 The illustrations produced are often humorous in tone and aim to encourage engagement from BT Sports millions of social followers. Below are some samples from the 2018/19 season so far. More work will be added as the season progresses.